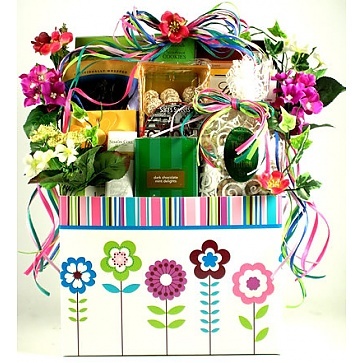 This large teacher gift basket is just blooming with style and with some of our most delicious gourmet goodies! Tell your favorite theacher they are #1 in the most tasteful of ways with this large colorful teacher gift basket filled with a virtual bouquet of scrumptious gourmet goodies! Any teacher will love this gift basket.